Such a delay in posting! 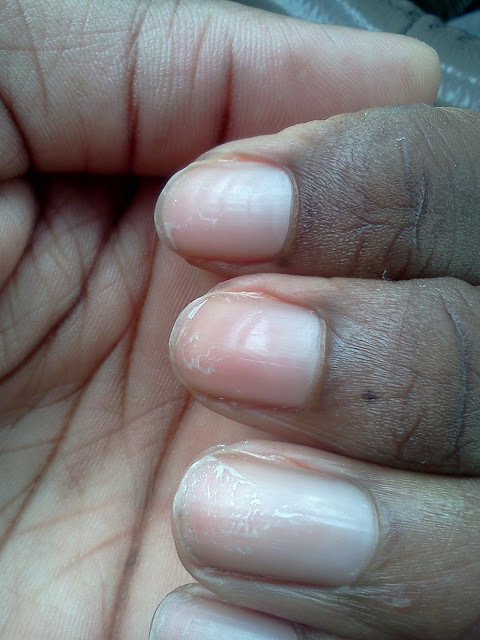 I kept the manicure on for THREE WEEKS! Honestly, I didn't even need nail polish remover! 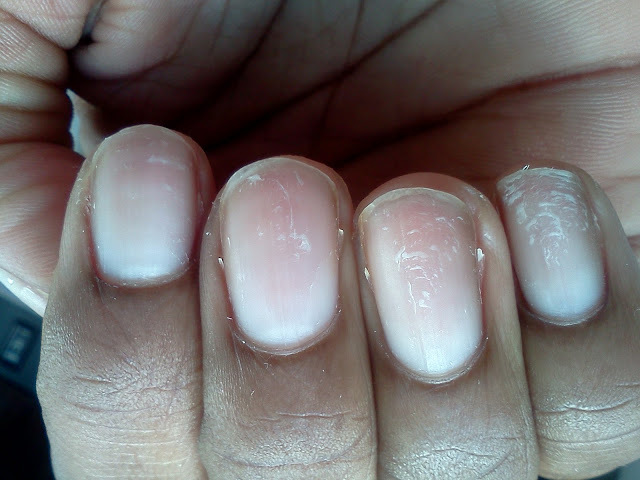 My friend warned me that when she took them off, her nails were brittle, and indeed she was right. Definitely not as bad as if I had a gel or acrylic set (with not only the brittle nails, but the indentations), but still not pretty at all. I think we'll stick to it for special occasions.